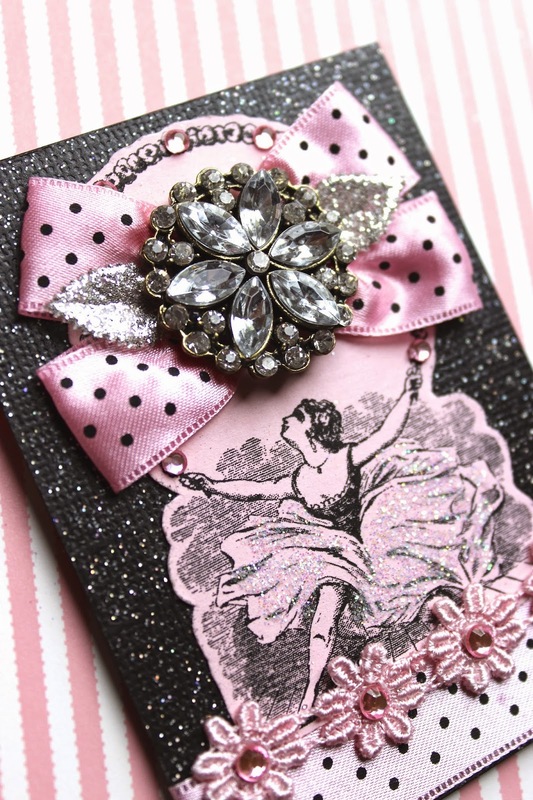 The Mag Rag: Pink, Black and Bling! ~ and I didn't buy a thing! the funny, sad, silly, awesome, etc. thing is that in no way do these charming blingies put a dent in your stash! but I agree, they so justify having same! love you much, Sis! you did a great job (as usual) on these!!! 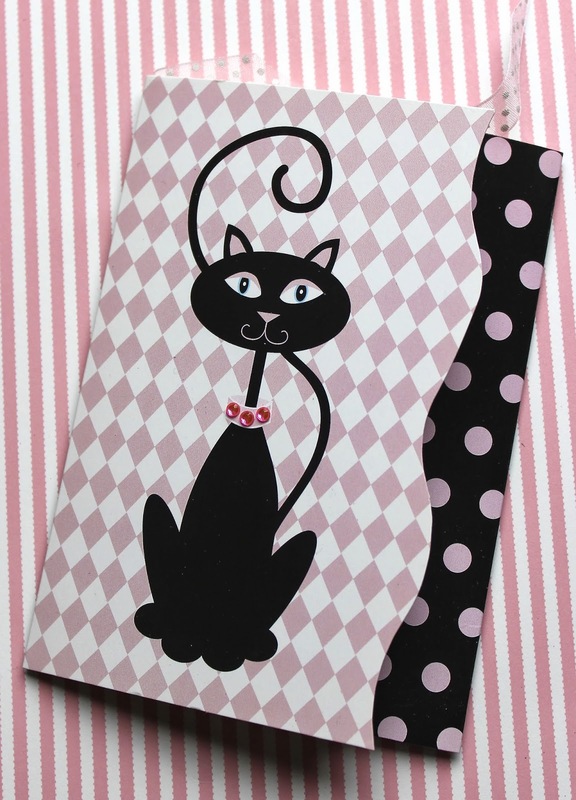 love the little cat note cards! So lovely. 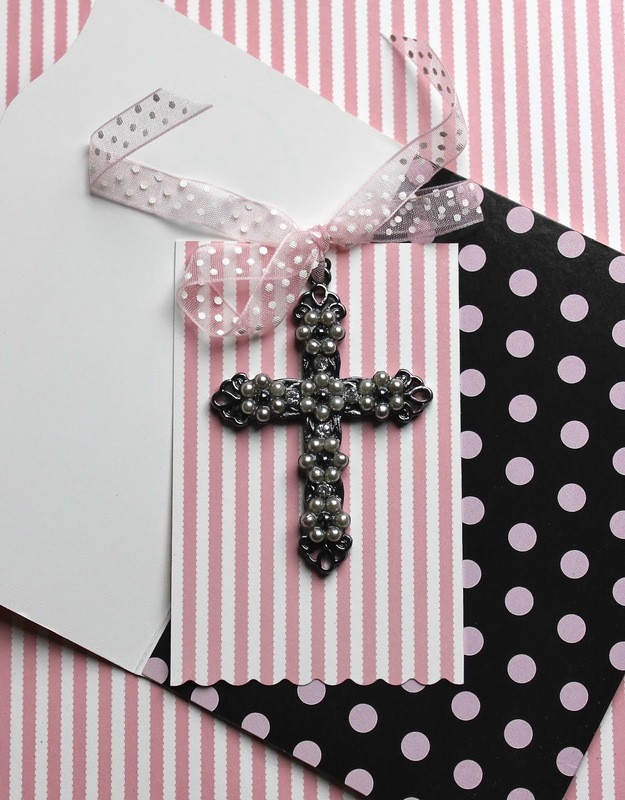 I think the cross is just beautiful. One of my favorite color combinations and they turned out so pretty. I agree about what we stash away and it's fun to "find" the things all over again! Beautiful, as always, Maggie! Thanks again for the beautiful extras, you are so thoughtful. I love what you used for your bling, I love your trims as well. Very beautiful. I'm so excited I got one of yours, it's beautiful. Thank you.